Bright prints make these fitted polos perfect for showing off your summer vibes! With pearl accents and dry fit fabric, these sports tops will help you keep your mermaid glow. 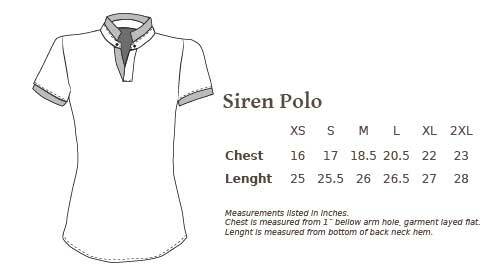 Features a mandarin collar and polyester fabric.